Hardwood floors ranging from the exotic to a simple laminated product, installed by Hancock RV repair. We take RV flooring to the next level with hardwood floors. Clean-up is a breeze with solid-surface RV flooring. No RV remodel is complete without high quality flooring. Carpet is a classic RV flooring material that is easy on the feet, and can be very durable to last many years. 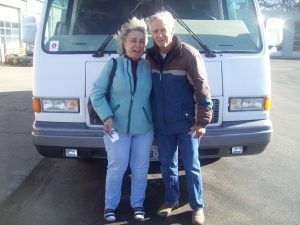 Hancock will carpet any room in your motorhome, giving you just the look and feel you’re looking for! Tiled floors are low-maintenance and easy to clean. Often used for entryways, bathrooms, kitchens, and utility rooms. RV flooring solutions like tile are also used often with radiant heated floors! Granite flooring adds a touch of class and compliments new kitchen designs with granite countertops. Radiant heated floor installation is a luxury that can be tricky for DIYers to handle on their own. 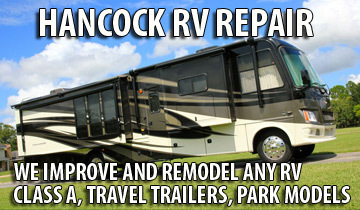 Hancock RV Repair can install a radiant heated floor in any part of your RV. Keep your feet toasty warm in any climate!